Designed specifically for heavier loads, the BFTW 60 hp “High Thrust" model has a larger gear case and lower gear ratio that is specifically designed to give additional thrust for pontoon boats, work boats and heavier fiberglass boats. The BFTW 60hp also features Maximum Acceleration System to deliver exceptional hole shots and Lean Burn Control for outstanding fuel economy at cruising speeds. The BFTW60 comes standard with a high output 22 amp alternator that produces nearly twice as many charging amps as other competitors. 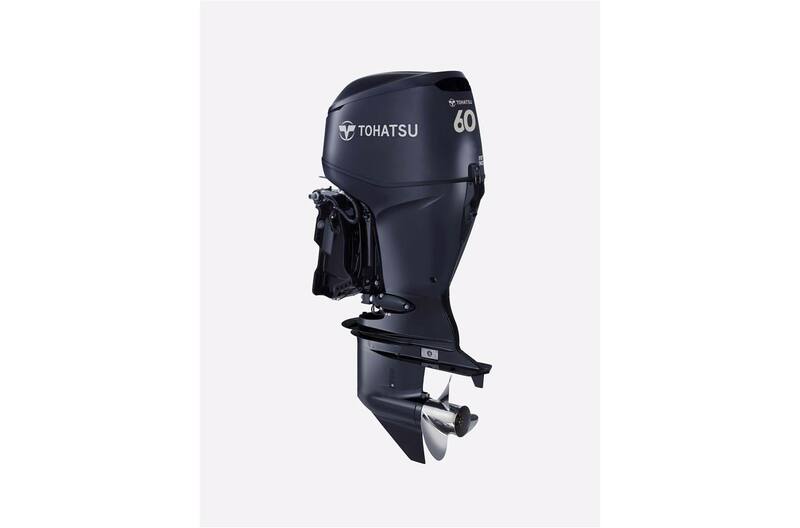 The BFTW 60 hp High Thrust model delivers everything you need plus more in an outboard. Multi Function Tiller Handle: Ergonomically designed shift lever offers smooth shifting for convenience and comfort. Throttle friction allows fine-tuning of the tiller for safety. Up front shift lever, PTT switch, and engine alert lamps provide added convenience.